Usually our group read picks are the first in long-running series. It’s an excuse to start a new series and get out of the reading the just-released books. However, some books require exceptions. 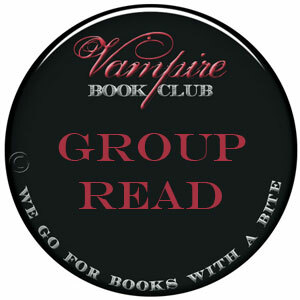 If our group read poll was any indication, every VBC reader is going to devour Iced by Karen Marie Moning this week. We’re ready to go back to a fae-infested Ireland. We’re ready for more sidhe-seers, more dark fae, more Irish drama. Okay, probably also for more of the intense sexual tension Moning is known for, too. So, this month we’re reading the just-released Iced. Note: This book will spoil the Fever series. If you haven’t started those books, please read Darkfever first, lest you be spoiled like no other. Are you in? 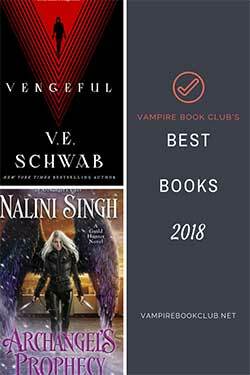 Expect discussion questions up at the VBC Goodreads boards, and a spoiler free-for-all in the upcoming review’s comments section. 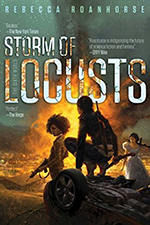 May want to mention that this book will spoil the ending to Moning’s Fever series if someone hasn’t read them. (If a person like that exist) If this imaginary person is real they might want to skip this months group read and start with Darkfever. Thanks for that, Airy. Updated. I’m in! Already bought it and starting tonight! I admit to being more than a bit concerned about a book all in Dani’s POV (her narration in Fever books 4 & 5 were my least fav parts of those books). Looking forward to seeing what everyone thinks. I am afraid to read this book, because there is someone out there that has not read the series yet. I just purchased the whole series. I plan on starting to read the series. I am hoping I can catch up. Before the month is over. 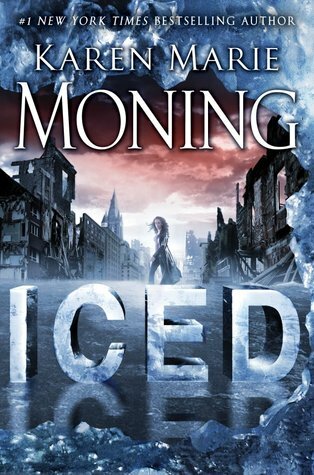 I have heard it is a great series, so I am excited to start it but sad that I can.not read “Iced”yet. It will be hard not to read though because I am on my last class of graduate school and have to turn in my portfolio of over 43 papers which I have not finished writing yet, I am dying to start reading. I keep bribing my self that for every paper I finish writing i get to read for an hour. It will be a very hard month not being able to read as much as I do. I wil do my best to catch up though. I devoured this book. It is written from multiple povs, so it is not all Dani, she matures in terms of voice compared to the previous books, I find watching her and all the other characters evolution very interesting. I’ve already finished this one! I couldn’t put it down. I was concerned initially because (like others) I wasn’t a huge fan of the Dani parts during the Fever series. But I was pleasantly surprised and I cannot wait to read the next installment! Karen Marie Moning is one of my all-time favorite authors.